I’m a native of Northeast Mississippi and graduated from Mississippi State University with a Master’s degree in Accounting. After college, I lived and worked in the Memphis, TN area for 17 years. For 10 of those years, I held various positions in accounting/finance with CB Richard Ellis which is the largest commercial real estate services company in the world. After moving to Peoria I continued my accounting career with Cullinan Properties prior to making the decision to obtain my license to sell residential real estate. 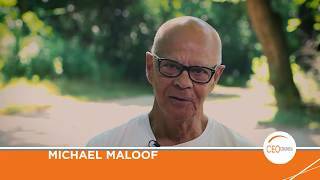 I was drawn to Jim Maloof/Realtor not only because it’s the #1 brokerage in Central Illinois but also because of their involvement/support of St. Jude Children’s Hospital. Having lived in Memphis and volunteered with St Jude in the past, the organization is very near to my heart. I’m excited to work for a brokerage who cares about the community and have pledged to give a portion of my commission to St. Jude. My background and strong work ethic, along with the resources that are available to me in working with Jim Maloof/Realtor, gives me the tools I need to help you with your real estate needs. My strength has always been building and maintaining client relationships which translates well into residential real estate. It is my goal to ensure that each client receives the best customer service experience possible, and I will do what it takes to make that happen. I would love to help guide and advise you in your real estate journey.